A public plaza located on Ocean Avenue next to City College of San Francisco has been officially named Unity Plaza, according to the San Francisco Municipal Transportation Agency. Nearly 100 names were submitted for review in September, with a coalition of citizens representing various local communities around the plaza ultimately reaching a decision after a thorough multi-step evaluation process. The Unity Plaza name was submitted by Chaeneice Evans. “We wanted a name for the plaza that would bring communities and city leaders together under one roof,” Maria Picar, director of the Oceanview, Merced and Ingleside Cultural Participation Project, said in a statement. After completed renovations, the plaza will be 65 feet wide and two hundred-ten feet in length, featuring newly planted trees, benches, pedestrian lighting, a domed play structure, and historical photographs of the area on display. Community members and stakeholders involved in the plaza’s development hope it will serve as an attractive pedestrian link between the City College campus, the Phelan Loop bus terminal, Muni’s K-Ingleside line on Ocean Avenue and an affordable housing development sponsored by the Mayor’s Office of Housing. 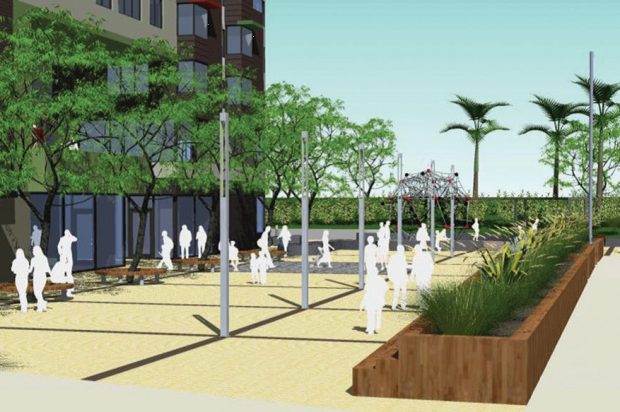 The Unity Plaza project is part of the Balboa Park Station Area Plan, a neighborhood-driven venture funded by federal and local sources. Construction is expected to be completed nine months after it begins early next year.